Recent revelations by WikiLeaks show how top American leaders lied, knowingly, to the American public, to American troops, and to the world. Ellen Knickmeyer on the carnage she saw as Baghdad bureau chief. In the dark morning hours of Feb. 22, 2006, a group of unknown attackers detonated bombs in the northern Iraqi city of Samarra, bringing down the golden dome of a revered Shia Muslim shrine. A few hours later, I drove through Baghdad and watched the country descend into civil war. Then the Baghdad bureau chief for The Washington Post, I drove with Iraqi and American colleagues to Sadr City, the sprawling slum on the outskirts of the city. We watched hundreds of black-clad religious militiamen, waving their AK 47s in the air and calling for revenge, in what would be the start to a campaign of sectarian killing and torture. During visits to Baghdad's morgue over the next two days, I saw Sunni families thronging to find the bodies of loved ones killed by the militias. The morgue's computer registrar told the grim-faced families and me that we would have to be patient; the morgue had taken in more than 1,000 bodies since the Samarra bombing, and was way behind on processing corpses. Here's the thing, though: According to then-Secretary of Defense Donald Rumsfeld and his top commanders, it never happened. These killings, these dead, did not exist. According to them, reporters like myself were lying. "The country is not awash in sectarian violence,'' the top U.S. commander in Iraq, Gen. George Casey said, on talk show after talk show, making the rounds to tell the American home-front not to worry. Civil war? "I don't see it happening, certainly anytime in the near term,” he said, as he denied the surge in sectarian violence. Here's the thing, though: According to then-Secretary of Defense Donald Rumsfeld and his top commanders, it never happened. These killings, these dead, did not exist. American journalists in Baghdad were under attack not just from Iraqi insurgents, but, at least verbally, from our own country's civilian and military commanders as well. After the mosque bombing, I had the twisting-in-the-wind experience of attending the weekly press briefings at the Green Zone—this war’s four o’ clock follies—and have the military spokesman insist that things were great, implying that the problem wasn’t the executed and mutilated bodies now found in the streets; the problem was people like me. Thanks to WikiLeaks, though, I now know the extent to which top American leaders lied, knowingly, to the American public, to American troops, and to the world, as the Iraq mission exploded. The American troops, who were risking their lives on the ground, witnessed and documented it themselves. Heavily redacted, the log entries offer surreal but chilling glimpses of the chaos that followed the Samarra bombing on Feb. 22. Within hours of the bombing, U.S. troops reported gunmen attacking; open street fighting between Shia and Sunni militias; rocket-propelled grenade attacks on mosques; assassinations and kidnappings. Later, one U.S. military patrol happens on militia members dumping bodies on the side of the street. The killers speed away, leaving the American soldiers with a grim discovery: “bodies shot in the face…still warm,” according to one log. Iraq was not “calming,” as Rumsfeld would have it. Rather, this was sectarian war, and, over the next few months, the Bush administration’s effort to convince the world that everything was hunky-dory in Iraq became less and less sustainable as the slaughter continued. According to the synopsis of the WikiLeaks documents by The New York Times, the death toll in 2006 reached beyond 3,000 one month. Late last year, I sat in on a seminar at Harvard’s John F. Kennedy School of Government led by a former Bush official in Iraq and heard her say matter-of-factly that more than 1,000 people died in one day in the immediate killing after the Samarra bombing. But as the WikiLeaks documents show, Casey and Rumsfeld must have known that all along, owing to the accounts from their forces. Despite the statements of the top U.S. commanders at the time, it wasn’t the journalists in Baghdad who were lying. 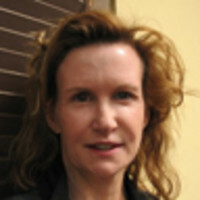 Ellen Knickmeyer is a former Washington Post bureau chief in Baghdad and Cairo. Before coming to the Post, she was the West Africa bureau chief for The Associated Press. This year, she graduated from Harvard University’s Kennedy School of Government.